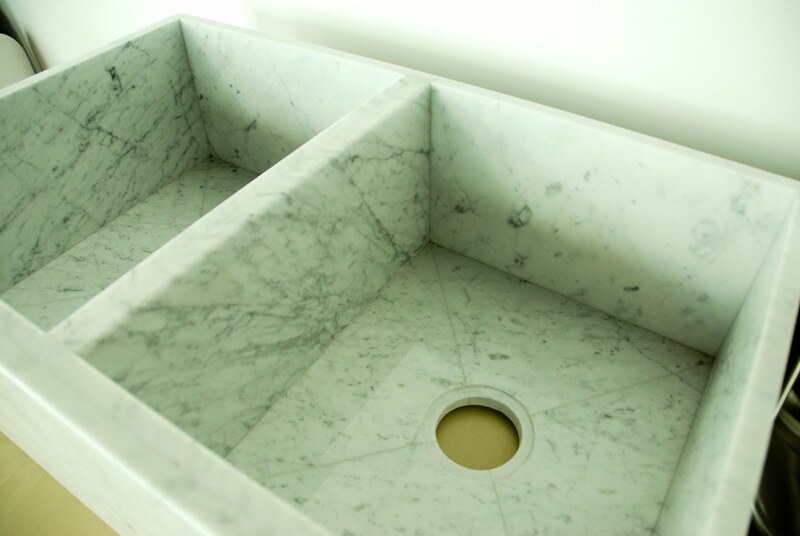 Did you know we make custom sinks? 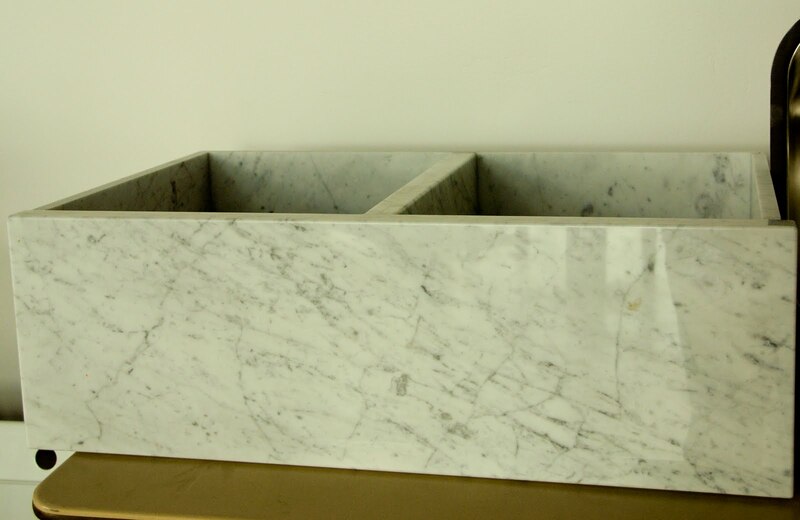 Here is an example of a beautiful, handmade Farmhouse Sink made from Carrara marble. Generally Farmhouse Sinks don't have a divider, but that's one of the benefits of a custom sink, we can do whatever you want! This sink is actually for sale. You can purchase it by contacting us or online here. 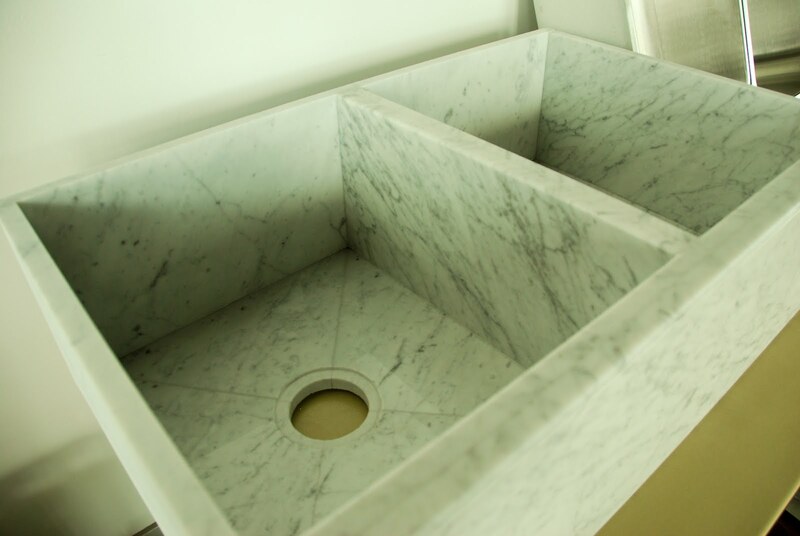 The great thing about our custom sinks is that we can make them the exact size that you need. I've had homeowners measure their big pots and sheet pans to see how big they want their sink to be. We can do most any style as well. Our most popular style is probably a single basin undermount. The very best thing about these sinks is that we can build your sink out of the same slabs we build your countertops from. This will ensure a perfect match in color and veining. Custom sinks are a beautiful option for any kitchen. We can also make a variety of styles of bathroom sinks. Prices vary, contact us today for a free bid! I would love one in my house. love, love, love. Wow, this sink is gorgeous!